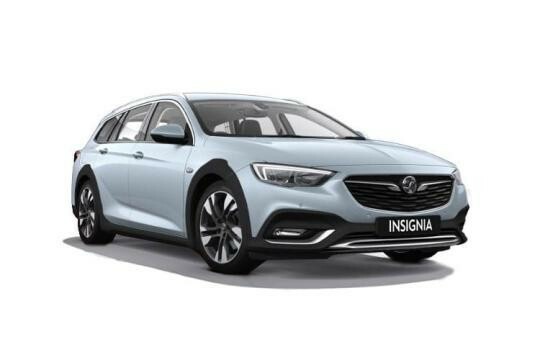 Great Vauxhall Insignia Country car Leasing & Contract Hire Deals. Our Vauxhall Insignia Country Lease Deals. 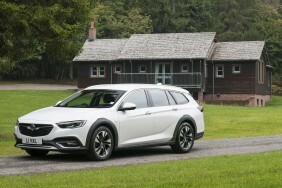 Over 70mpg is possible from the 2.0 CDTi unit most Country Tourer buyers will choose. As for residual values, well these will depend on whether the industry recognises this Country Tourer model's shift up-market. Even if it does, the depreciation levels won't match those of premium German rivals. But then, you'll be paying less up-front in the first place, so it's swings and roundabouts. CO2 figures are very competitive, the 170PS 2.0-litre diesel capable of just over 50mpg on the combined cycle and just over 140g/km of CO2. You'll also need to know that Vauxhall includes a three-year, 60,000 mile warranty as standard, a package that can be extended up to five years and 100,000 miles at extra cost. A year's free breakdown cover is also provided, along with a six-year anti-corrosion guarantee. Plus you can opt for a service plan that lets you pay monthly to spread the cost of regular work to your car. As part of this, Vauxhall offers discounts on wear and tear items, such as brake pads and windscreen wipers.